​Liverpool Tree Services are ​Tree Trimming and Tree Pruning Specialists. Seasonal Trimming and Pruning should be performed either in the early spring or in late winter, right before the tree begins to bud. If Trimming and Pruning is required after trees have already started to bud, it’s best to delay any cuts until after all of the leaves have grown to their full size. Then low hanging and dead branches should be pruned straight away as they pose a safety risk. Minimal Trimming and Pruning if any is required in the first three years of a tree’s life. 1. Early prevention. Tree Trimming and Pruning can really benefit both the look of the surrounding area and also the health of the tree. Trimming and Pruning is an essential practice in order to extend the life of your trees and ensure that they don’t become overgrown. With our regular Trimming and Pruning, the tree can be assessed, and any disease can be caught early or prevented from taking over not just the tree, but also surrounding trees. 2. Trimming and Pruning Methods. Our first step to prune a tree is to create a customised plan that will leave the tree healthy, beautiful, and entirely protected from disease. It is essential that when your tree is pruned it is carefully planned and executed. When it’s not done correctly, Trimming and Pruning can wound a tree. For example, a popular method called “tree topping” can severely reduce a tree’s lifespan. Tree topping can, in fact, exposes trees to all forms of disease. 3. Dispel Myths. Another standard method of Trimming and Pruning newly transplanted trees calls for reducing the crown of trees to make up for their root loss. This is wholly unnecessary and is often harmful to the tree. Dangerous Trimming and Pruning methods like this are why all of our tree surgeons who will work on your trees for you are fully certified. Our various Trimming and Pruning methods have been refined after more than ten years of experience and are scientifically proven to be by far the safest and healthiest for your trees. 4. How long does it take? The length of time it takes us to prune your trees depends entirely on the size of the trees involved. Small trees can take under an hour while very large trees will often take the best part of a full day to prune properly. 5. Preparations required to be made before Trees are pruned. We will need to know the locations of any lawn watering systems you may have to avoid any damage by falling branches. All lawn furniture, decorations, playsets, and all other objects should be moved safely away from the trees that we will be pruned prior to our arrival if possible to save time. Please make sure that our team has access to the tree on the day of our appointment. We’ve encountered parked cars underneath with no keys available before! 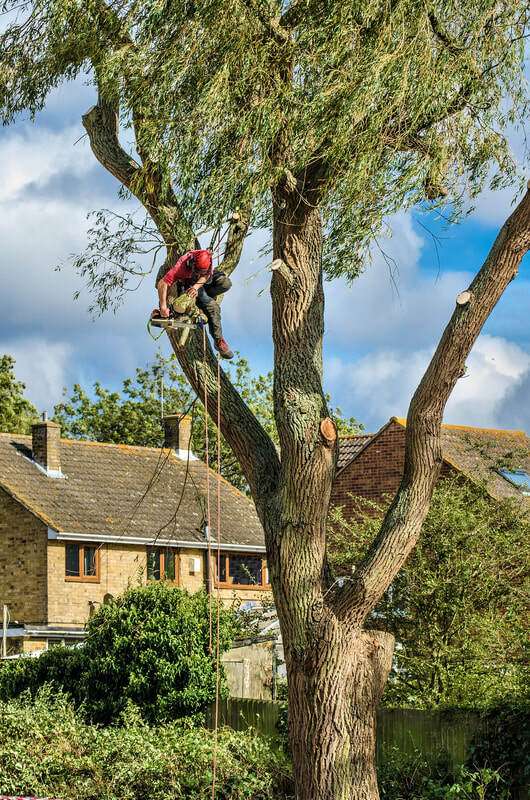 By hiring us at Liverpool Tree Service, you can rest assured that we will take the professional approach and Prune your trees properly. This will ensure that your tree will be healthy and vibrant. Just fill in the form on the right-hand side for a ‘No Hassle Guaranteed’ FREE quote. We pride ourselves in offering a professional Trimming and Pruning service at affordable prices in the Liverpool area. Or call today on 0151 380 0007 and ask for any special offers that we might be running.